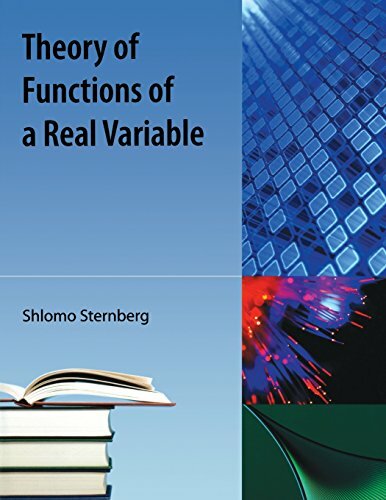 I have taught the beginning graduate course in real variables and functional analysis three times in the last five years, and this book is the result. The course assumes that the student has seen the basics of real variable theory and point set topology. Contents: the topology of metric spaces, Hilbert spaces and compact operators, the Fourier transform, measure theory, the Lebesgue integral, the Daniell integral, Wiener measure, Brownian motion and white noise, Haar measure, Banach algebras and the spectral theorem, Stone’s theorem, scattering theory. These are lecture notes from Real analysis and PDE: Basic Topological, Metric and Banach Space Notions; Riemann Integral and ODE; Lebesbgue Integration; Hilbert Spaces and Spectral Theory of Compact Operators; Complex Variable Theory; etc. These are some notes on introductory real analysis. They cover the properties of the real numbers, sequences and series of real numbers, limits of functions, continuity, differentiability, sequences and series of functions, and Riemann integration.